Alas. The stockings have been folded and packed away, the New Year champagne flutes are gathering dust and the cold winter air keeps us chilled to the bone; February is upon us. As comfortable as you may be curled up with a good book or a Netflix marathon, don't let the winter doldrums keep you locked inside! Gather the troops and lace up the boots; here is a snapshot of a few events and activities to keep you active through February. 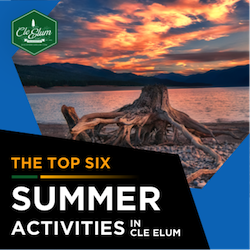 Cle Elum is an outdoor adventure paradise. Take advantage of the fresh snow and rent snowmobiles at The Last Resort. The friendly staff provide rentals and guided tours of the Cascade Mountain region. To make reservations, visit www.thelastresortwa.com or call 509.649.2222. If you are imagining a more river-based winter excursion, Troutwater Fly Shop is your destination. The shop is conveniently located on first street in Cle Elum and guided excursions are available year round. The current season is ideal for rainbow trout, and the experienced guides offer a variety of excursion packages ranging from the most experienced fly fisherman to the first-time adventure seeker. Call today at 509.674.2144 to book your river adventure. 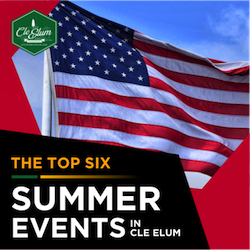 For those looking for a more family-friendly activity, take the short drive to Nelson Farms for an intimate glimpse of the area's resident elk herd. Feedings are offered twice daily, so bring your cameras and hot cocoa to enjoy these majestic animals in close range. Visit the Cle Elum Visitor's Center for a map and directions, located at 312 W. First Street. This February, be sure to purchase your tickets for a murderously mysterious dinner party! Smokey's Bar-B-Que is holding a "Masquerade Murder Myster Dinner" on February 13th at their Cle Elum location. Dine in style with a five-course meal, local beer and wine selections and a murder that YOU play a part in! For reservation information and event details, contact your villainous hosts at 509.925.9800. If music is what you are craving, then look no further than the Parlour Car restaurant. Twice a month you can hear the music of jazz duo Al Rinaldi and Nick Osmonovich. Sip specialty martinis and snack on artisan dishes while you unwind with live local music. For event information, contact the Parlour Car at 509.260.0722. Don't let the cold keep you locked indoors. Take control of your winter and enjoy the snow while it lasts! We all know how it feels to creep into the month of February and see the pastel-colored candy overflowing from supermarket shelves; to dodge by stuffed teddy bears and heart-shaped helium balloons; to feel the pit in our stomach when we've forgotten that February 14th is the state-mandated day to dote on your significant other. For some, it means gathering up your year's savings and splurging on a splendid array of courses and wine samples in a mountain lodge. For others, it's a chance to slip away from the city and indulge in quick local bites and outdoor adventures. Whatever type of V-Day celebrator you may be, you will find that cupid has two types of adventures in Cle Elum. While dinner parties and suit jackets can be thrilling, not everyone wants to spend their Valentine's day inside. 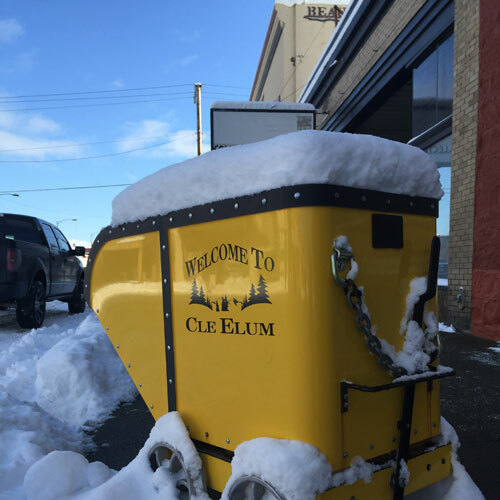 If you are looking to spend your lover's weekend scouting out locally sourced grub and trekking through the powdery snow, downtown Cle Elum has much to offer. 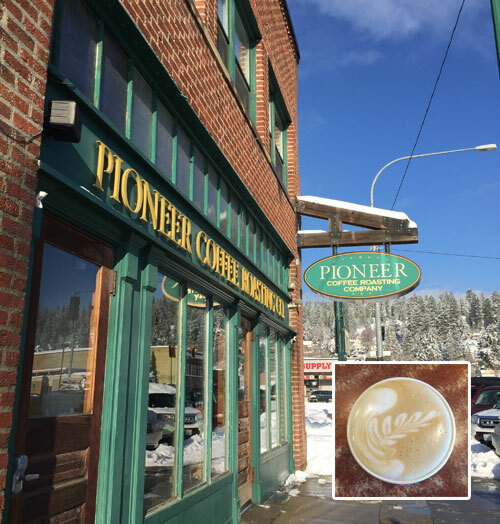 Start by ordering a strong cup of coffee or a latte from Pioneer Coffee Roasting Company. 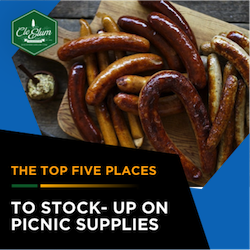 Their locally roasted coffee beans and wide selection of baked goods are the perfect fuel to begin your outdoor adventures. Once you have a nice strong caffeine buzz going, be sure to take a short stroll down first street to visit the Kittitas County Chamber of Commerce Visitor's Center (312 First St.; 509.674.6880). Inside you will find countless trail maps, snowshoe/snowmobile rental shops and local legends for you and your special someone to scope out. 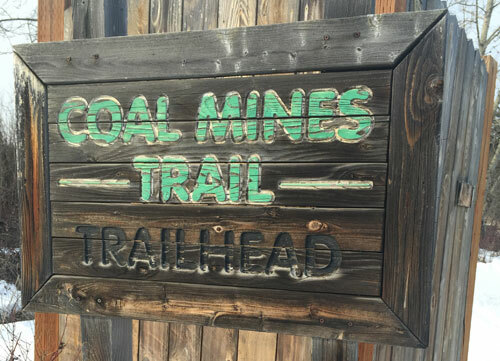 We suggest picking up the Coal Mines Trail pocket guide and zipping up your jackets; this 4.7 mile trail follows the abandoned Burlington Northern Railroad bed. Try to catch a glimpse of coal-industry relics as you make your way to the small town of Roslyn and back. 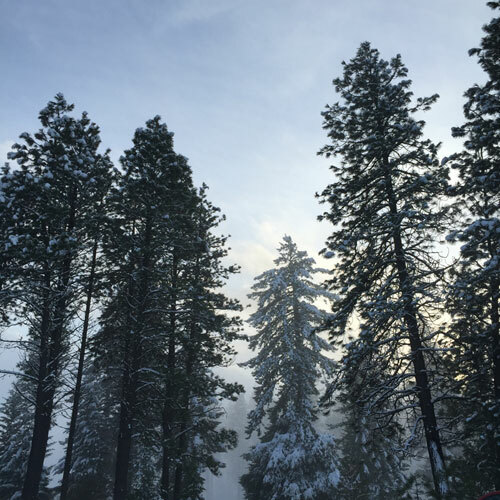 Whichever way you choose to celebrate this holiday of love, an escape to Cle Elum will bring your hearts closer and make your memories sweeter.